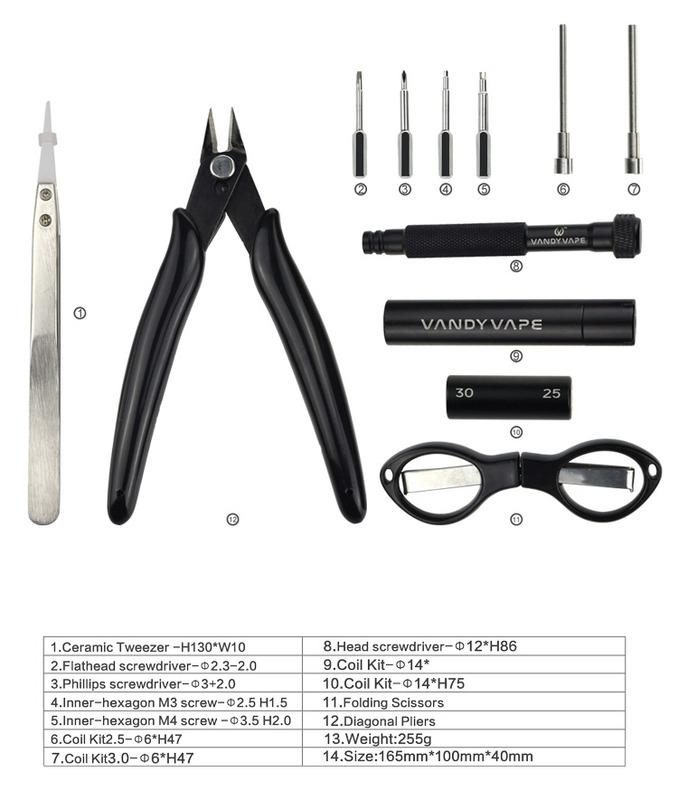 Vandy Vape DIY Simple Tool Kit Pro is a compact and affords set of essential tools in a durable zippered carrying case. It includes one Ceramic tweezer, three screwdrivers, two Inner- hexagon screws, four Coil Kits and a Scissors and Pliers. All tools are high-quality and made to reach various needs of users. It is convenient to carry.